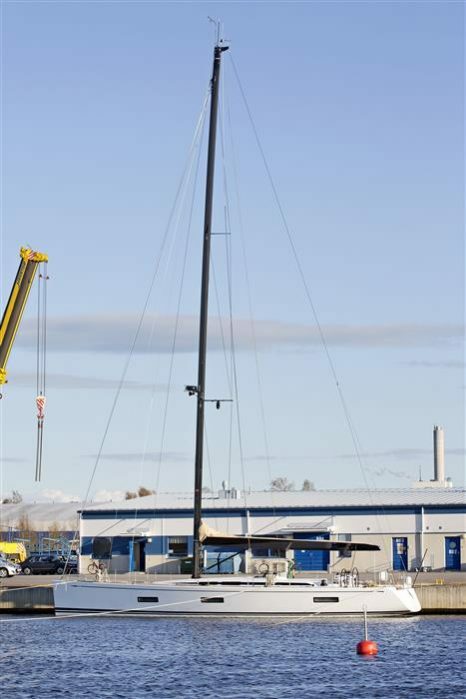 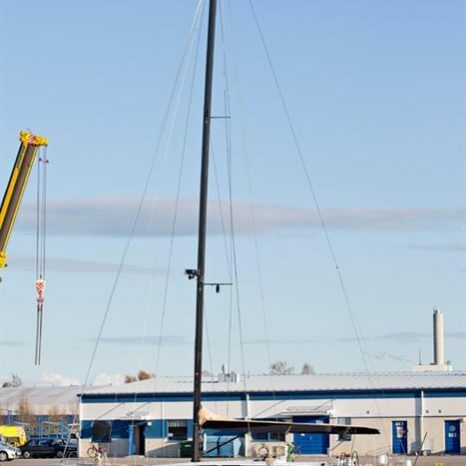 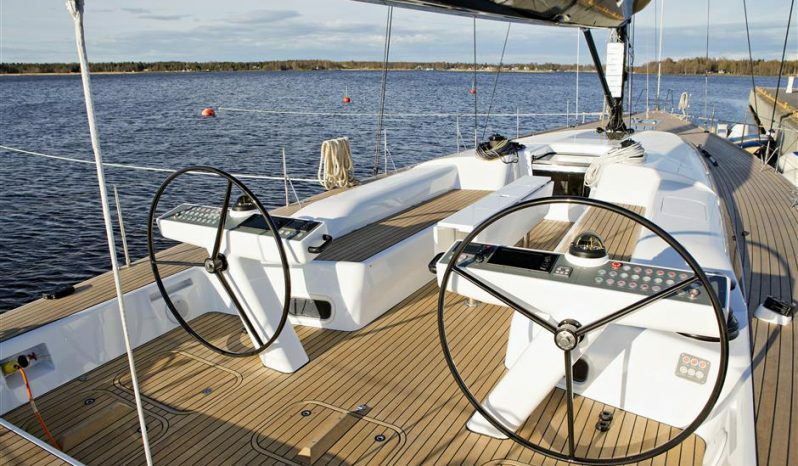 The boat’s high-stability, direct steering system, and foils with a forgiving performance all add up to a light and responsive yacht. 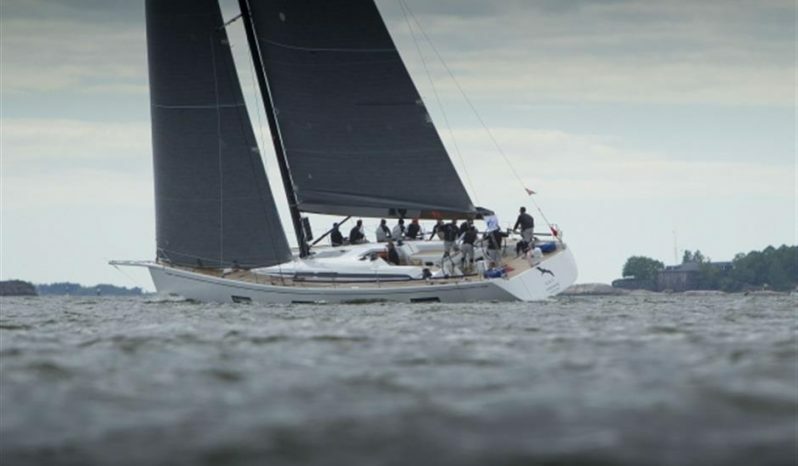 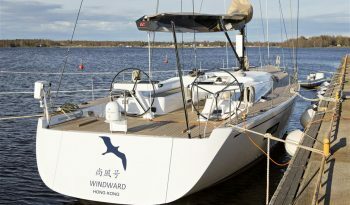 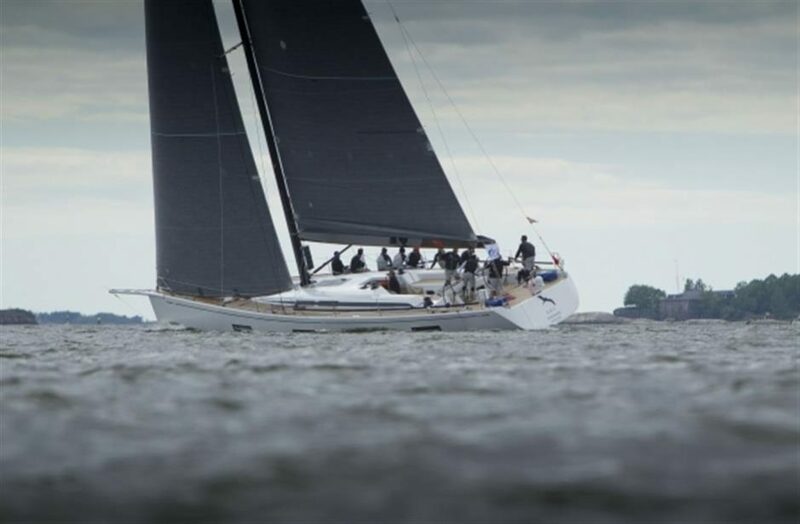 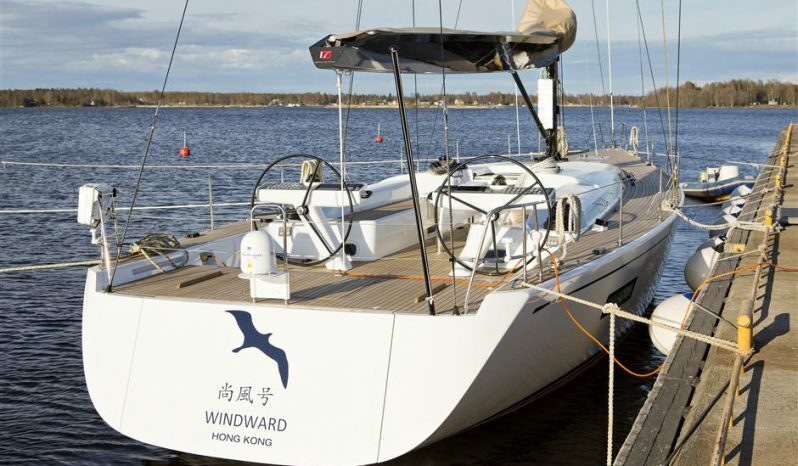 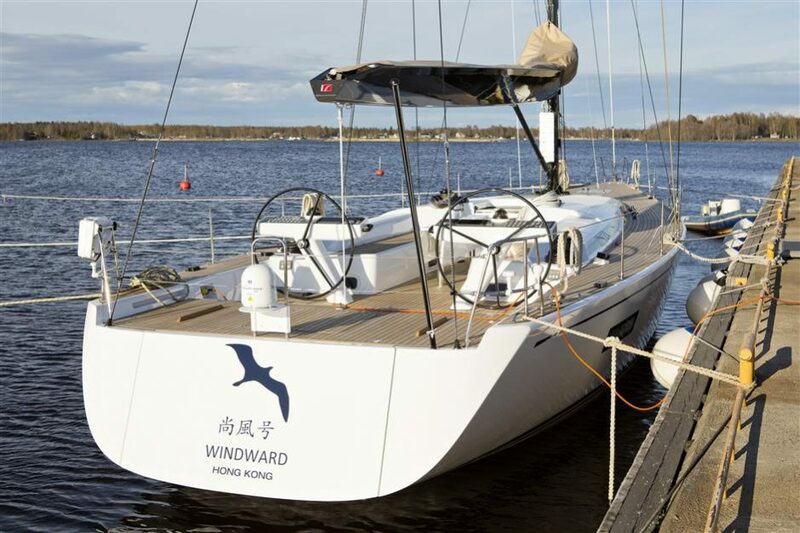 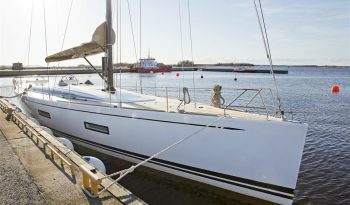 The yacht can be sailed easily by just two people, thanks to powered winches and a cockpit layout that places the helmsman within easy reach of the winches. 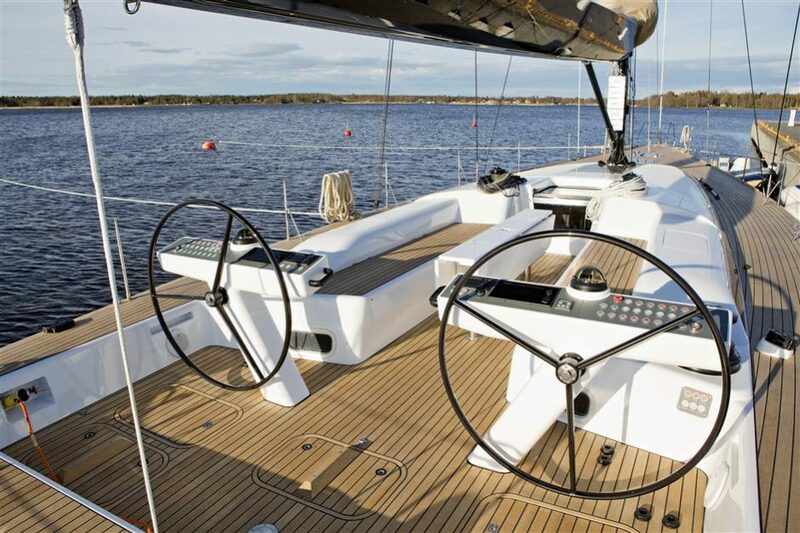 The steering position is carefully designed to allow the helmsman a clear view of the sails and approaching seas. 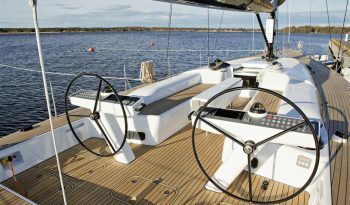 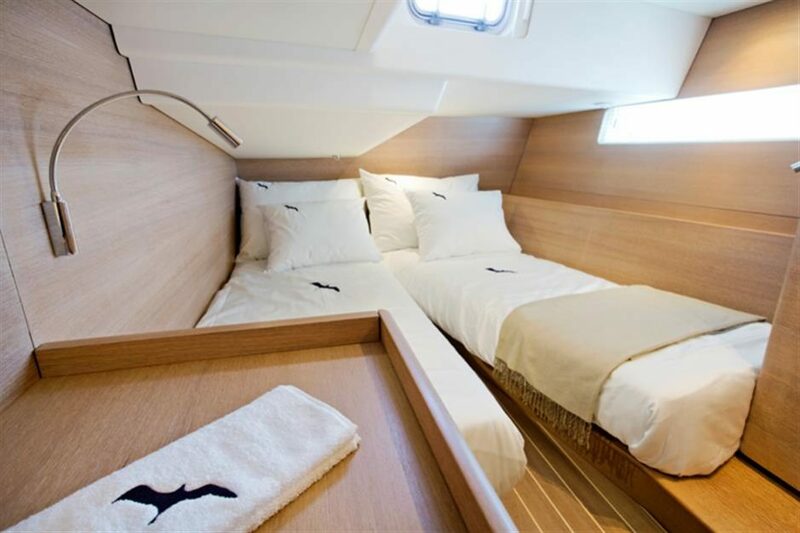 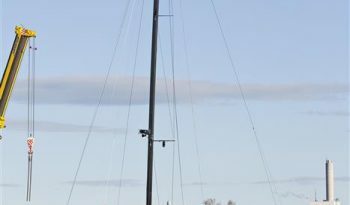 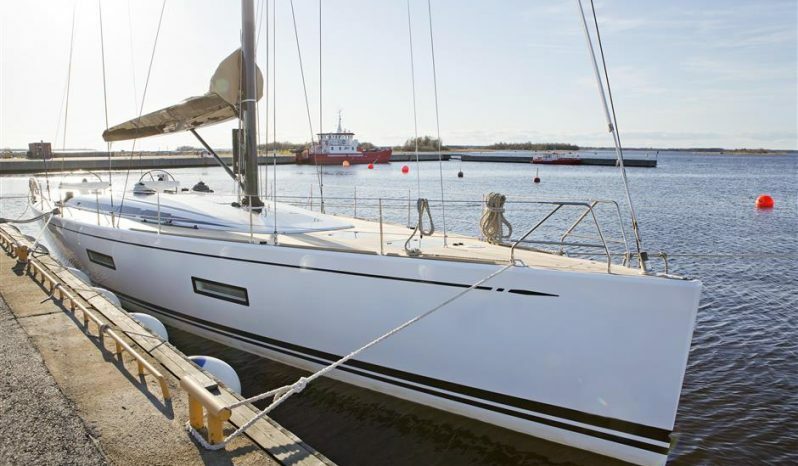 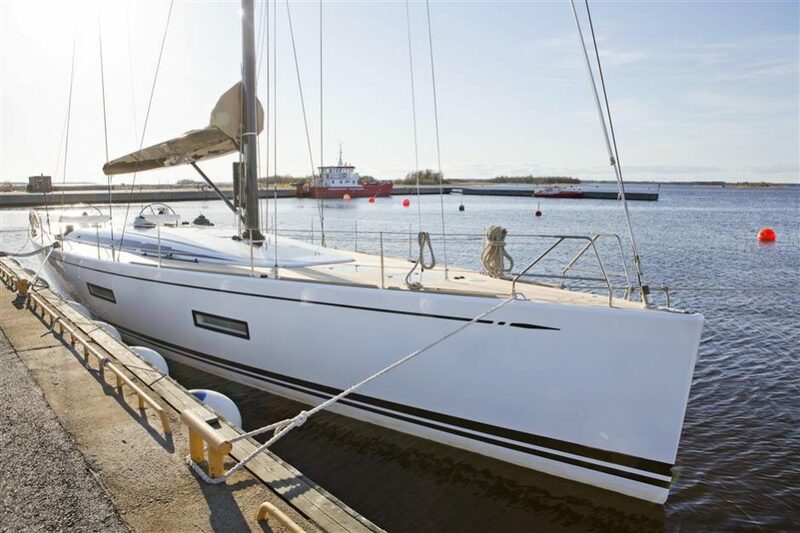 The thinking behind the deck layout is to provide space for more than one activity while sailing or at anchor, yet still allowing unhindered movement around the boat at all times. 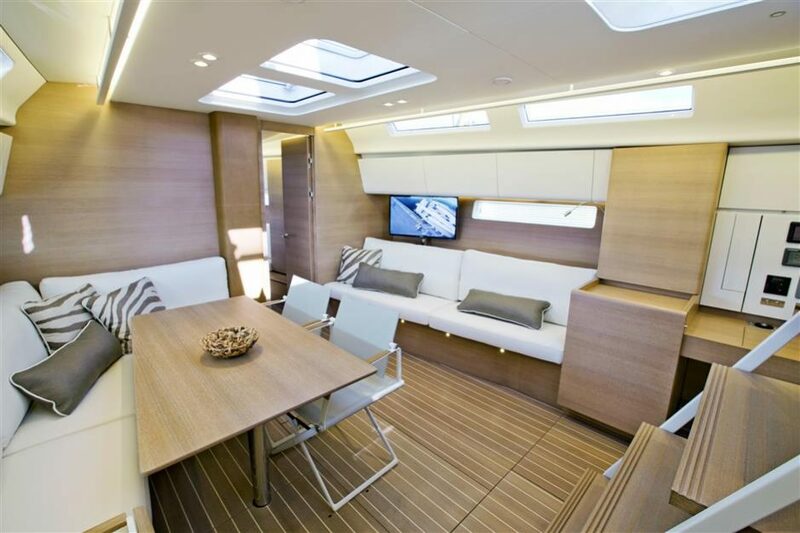 The deck is very spacious and offers a functional full transom which features a sunbathing area and dinghy garage. 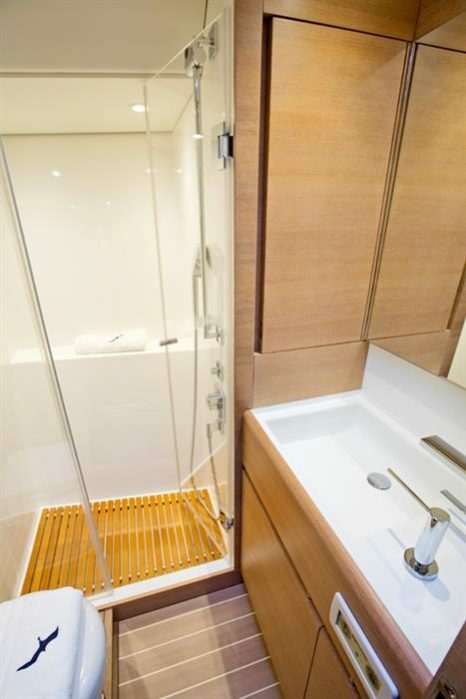 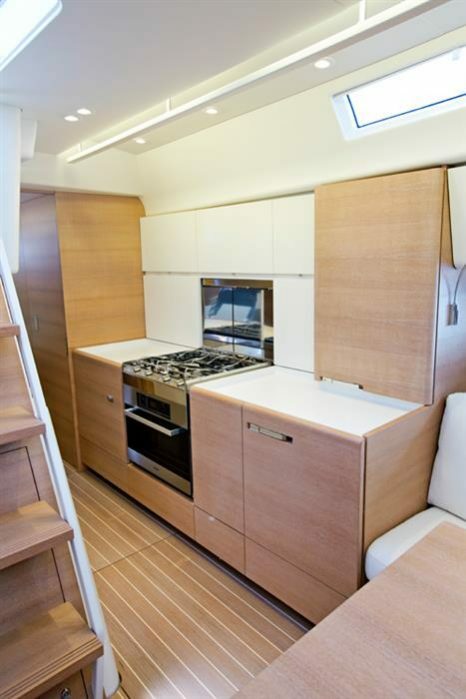 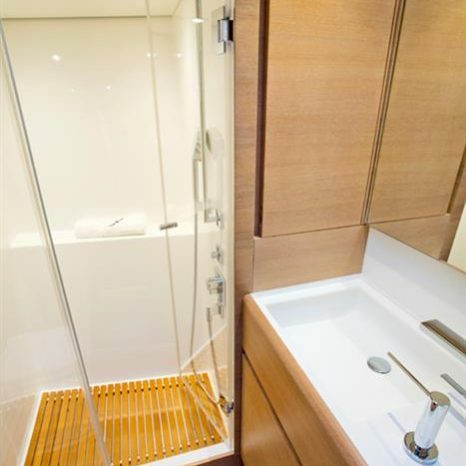 Moving below deck, the interior has been designed to maximize living space, with plenty of natural light. 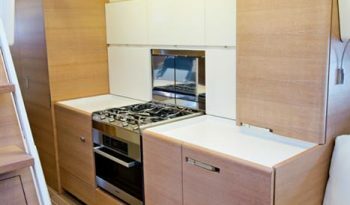 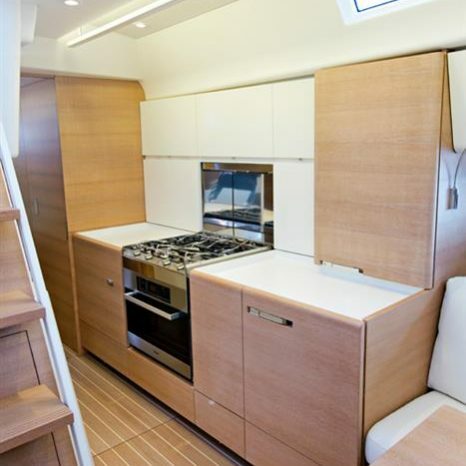 The galley provides all the facilities you might expect from a Swan of this size, and surprises and delights with ingenious details and design features, making the galley both attractive and absolutely practical to use. 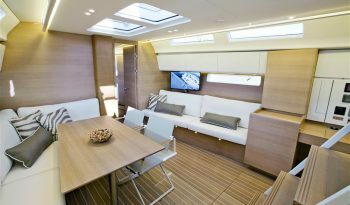 The large, open saloon is based around a spacious navigation station, and benefits greatly from hull windows, coachroof ports and wide hatches, giving both natural illumination and exterior views. 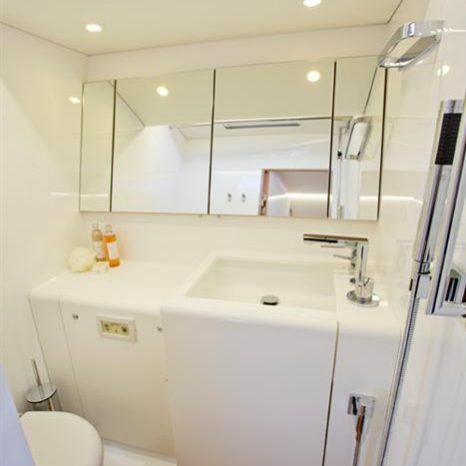 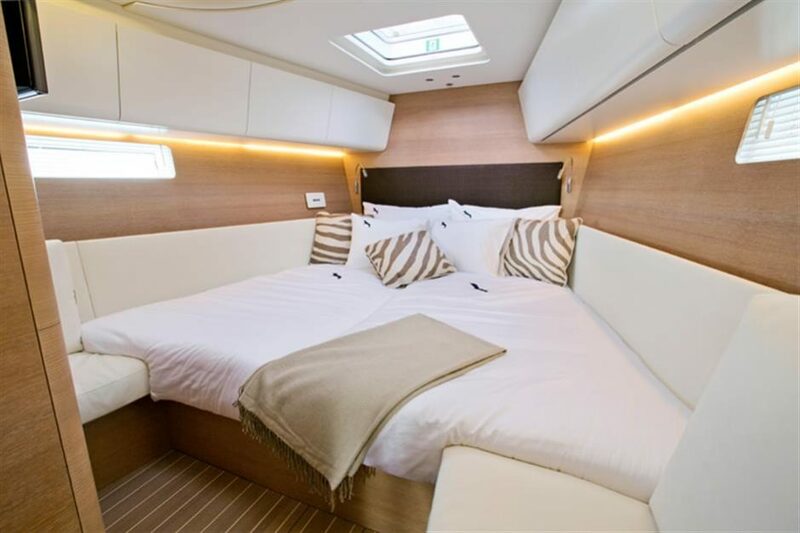 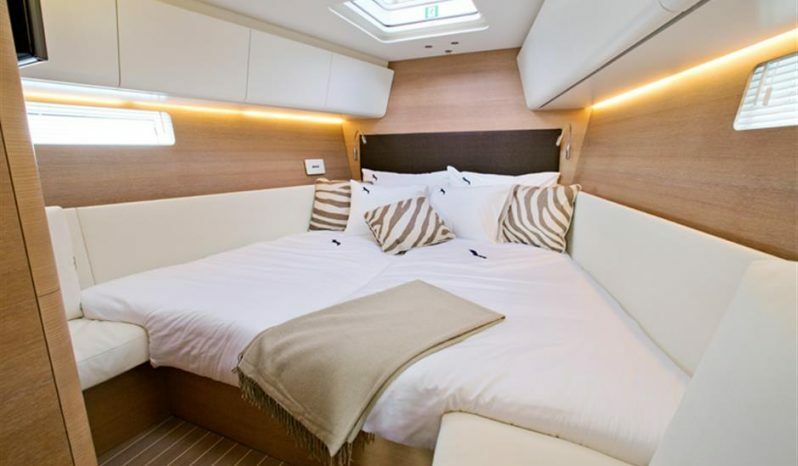 Moving forward from the saloon, a generously sized owners cabin boasts the ambience, proportions and privacy normally reserved for much larger yachts. 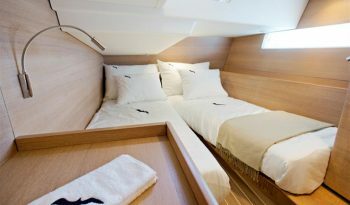 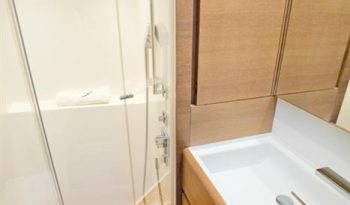 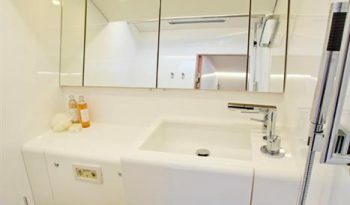 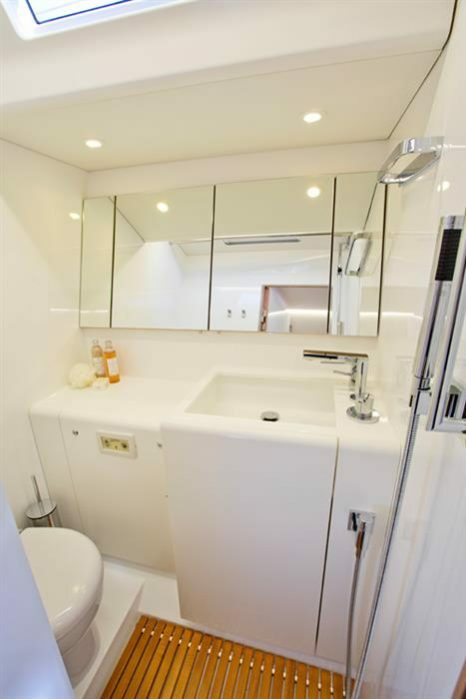 Finally, guests will enjoy their stay in two symmetrical after cabins, both of which are en-suite.